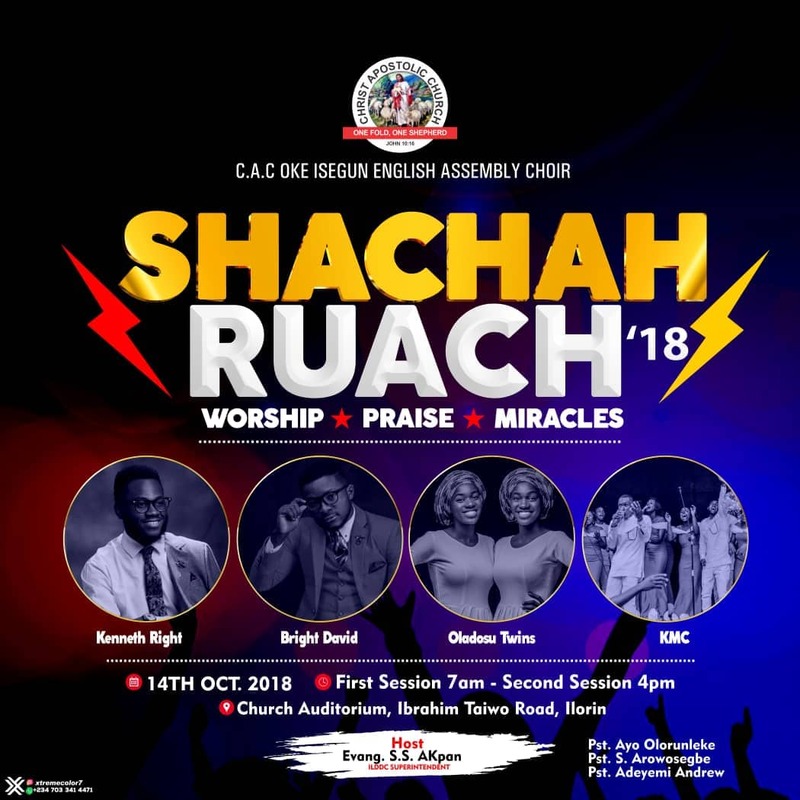 The English Assembly Choir of Christ Apostolic Church, Oke Isegun, Ilorin Kwara state is set to hold the maiden edition of an annual programme known as " Shachah Ruach." 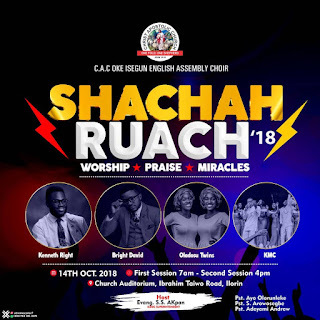 We gathered that the programme will hold on Sunday October 14, 2018 at the church auditorium, Ibrahim Taiwo road, Ilorin, Kwara state. CAC NEWS learnt that the first session of the programme will start by 7am, while the second session starts by 4pm. 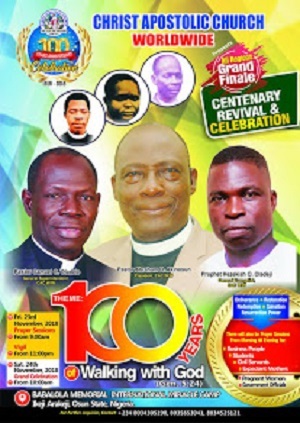 Invited singers are Kenneth Right,Bright David, Oladosu Twins and KMC. Wao! 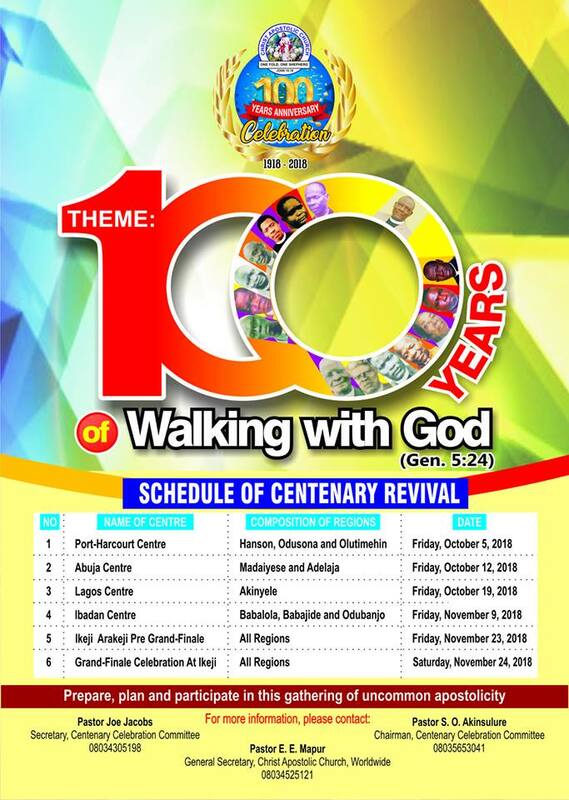 It's gonna be spiritual filling, heavens releases blessing. I'm glad to be there by God's grace amen.